A level of competence commonly accepted and valued by the industry. Employers give preference in hiring applicants with certification. They view this as proof that a new hire knows the procedures and technologies required. 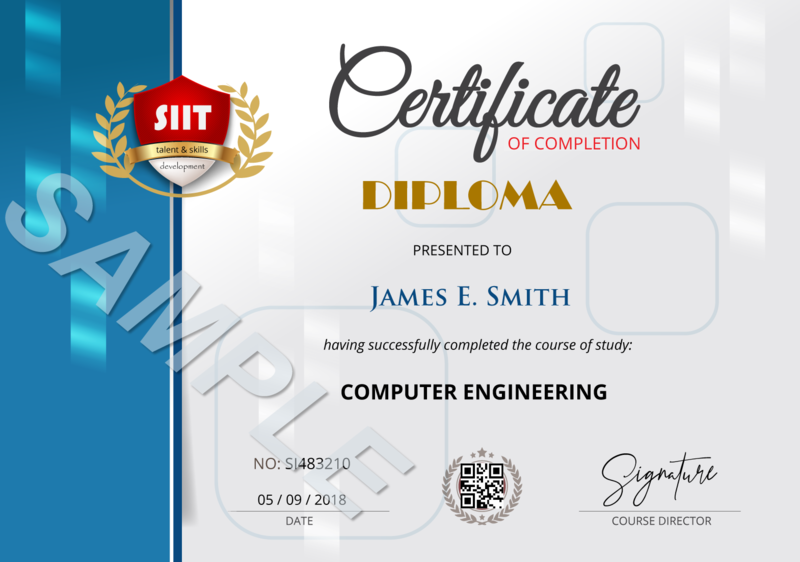 One of the advantages of technology certification is that it can be used as both stand-alone qualification and can be attached to your primary degrees/diplomas for enhancing job opportunity. The certification can also be a plus when an employer awards job advancements and promotions. Employers generally make assessment on both skills and certification before awarding promotions. Certification may be required as a prerequisite to attending a vendor's training course, so employers will offer advanced training to those employees who are already certified. Tech Skills are The Most Valuable and Highly In-Demand profession around the world. Tech qualifications are needed in almost every workplace for efficiency and cost effectiveness. Certificates of Completion equivalent to I.T Diploma will be e-mailed to you upon successful completion of our online exams. You can print out directly from your email OR order for hard copy to be shipped to your physical address with a shipping fee.